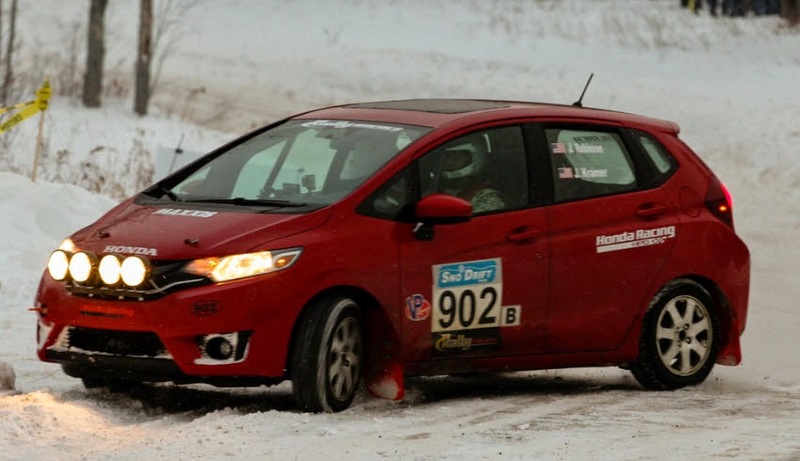 Returning for the 2015 season, the B-Spec Fit team was looking forward to starting the difficult Sno*Drift rally and defending its 2014 B-Spec Championship title. 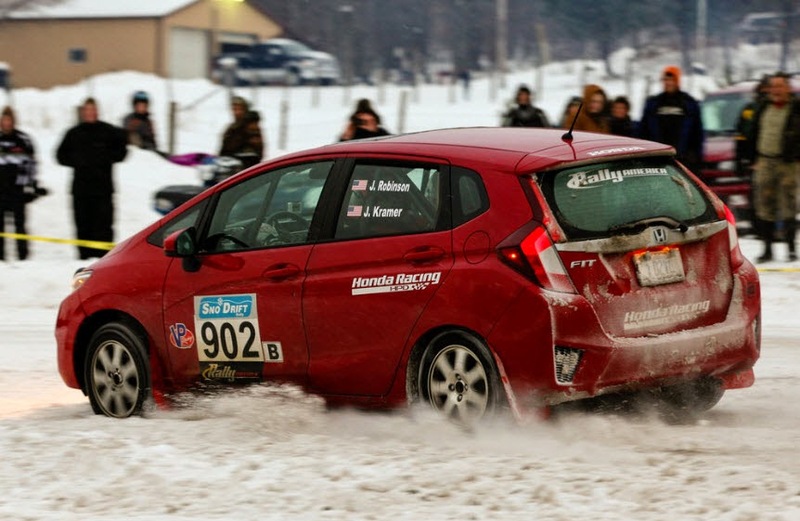 In addition, the team would campaign a brand new 2015 Honda Fit, equipped with the CVT transmission. This would be the first time in 15 years that a Honda would compete in North American Rally with such a unique transmission. 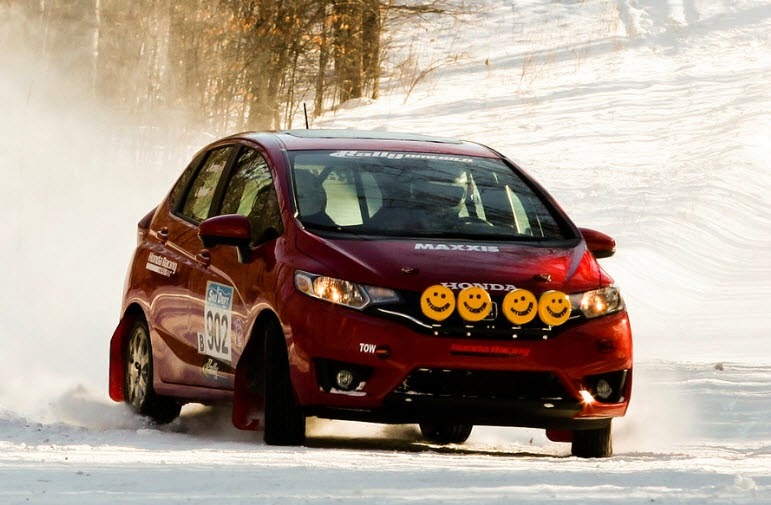 The 2014 sponsor Maxxis renewed its partnership with Honda Performance Development to showcase the brand new 2015 B-Spec Fit developed specifically for Rally competition at the Sno*Drift Rally, the first round of the 2015 Rally America National Championship. 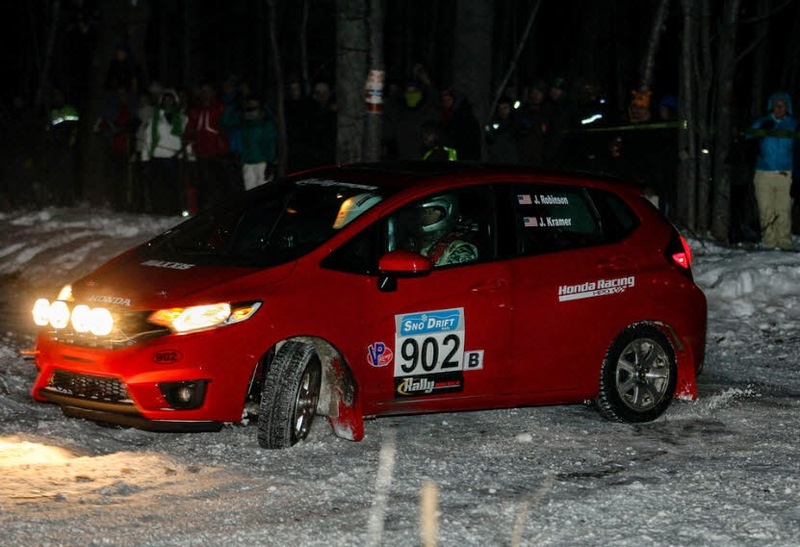 Stage 16 proved to be the most challenging stage of the rally, as it was over 24 miles in length. This stage would be the true test of the new Fit as this would be almost 30 minutes of constant pushing on a variety of road surfaces. “We are a little bit anxious to start this long stage,” reported Robinson at the second service of the day. “This will be the true litmus test for this new car. If we can make it for the full stage without any transmission overheating issues, we should have full confidence for the rest of the season!” As the team hoped, the car made it through the long punishing 16th stage and was able to still set the 4th fastest 2WD time! Look for the Maxxis / HPD B-Spec Fit to continue in its hunt for the championship next month at The Rally in the 100-Acre Wood in Salem, MO. Congratulations! looking forward for some hpd 2015 fit performance parts.